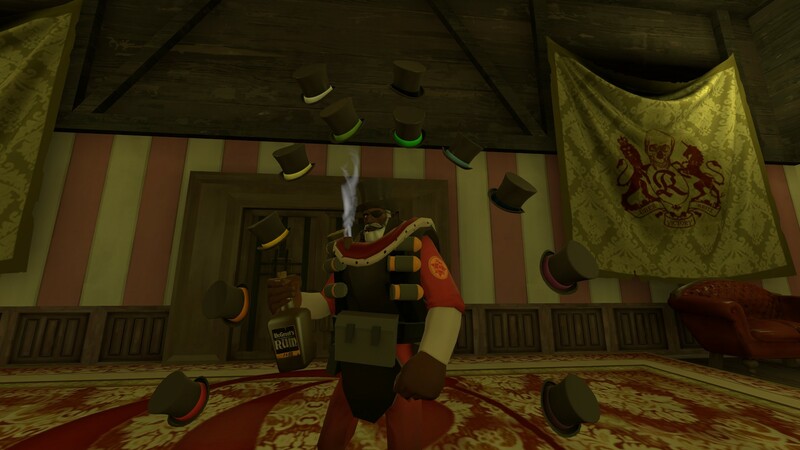 Ho, there, ye wee SPUFers, it is I, Sir Donald Demoman, and I’m postin’ on this here blog aboot a competition ah’m holdin’- a celebration of both the arts and the best hat in the game, the Scotsman’s Stove Pipe. Ye see, the Stove Pipe has defined me world fer as long as I can remember. Me mum says I was born with a band of ribbon in me mouth, hoho! Anyways, I’m soon to be off on a grand adventure to find the mysterious land of Hydro! The scientists say that it doesn’t exist, that the legends of its past population are simply myth, but what do they know? So, it’s up to ye, the SPUFers, to hang onto my most cherished Stove Pipes until I return, if I do! There are twenty-nine Pipes in all, as follows, as well as the competition linked with them! That’s all me Pipes, laddies and lassies. Now, ye have until the twenty-ninth of September to enter for these competitions! At that time, your six judges will pick the best entries and they’ll deliver the Pipes for me. I’ll already be off strangling a chimera or summat. Rules and regulations can be found in the thread. Now go make some art, ye ninnies! Read more about this contest (including the entries) here! The Daily SPUF will be doing an expose on the winners when the time comes, so jump in! Team Fortress Comics #6 is out!